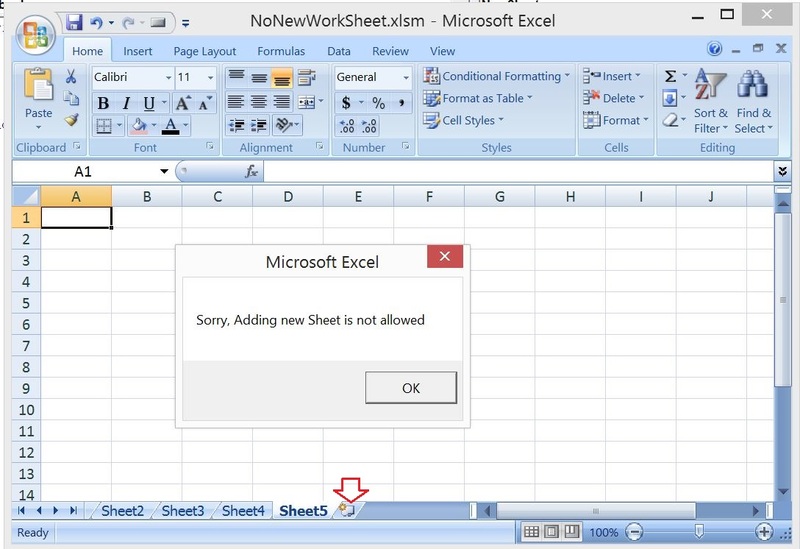 Many a times you need a scenario where you dont want user to add new worksheets in you Excel work book. Now you will see the function Private Sub Workbook_NewSheet(ByVal Sh As Object). Add the following code in the function. And thats it you are done. Lets test our program. Go to excel and try adding a new worksheet. Excel-VBA : Send Mail with Embedded Image in message body From MS Outlook using Excel. soon i will post on prevent user to copy a worksheet. 222 queries in 0.105 seconds.